Emotion is a mental state  variously associated with thoughts, feelings, behavioural responses, and a degree of pleasure or displeasure. There is currently no scientific consensus on a definition. Emotion is often intertwined with mood, temperament, personality, disposition, and motivation. Research on emotion has increased significantly over the past two decades with many fields contributing including psychology, neuroscience, endocrinology, medicine, history, sociology of emotions, and computer science. The numerous theories that attempt to explain the origin, neurobiology, experience, and function of emotions have only fostered more intense research on this topic. Current areas of research in the concept of emotion include the development of materials that stimulate and elicit emotion. In addition PET scans and fMRI scans help study the affective picture processes in the brain. "Emotions can be defined as a positive or negative experience that is associated with a particular pattern of physiological activity." Emotions produce different physiological, behavioral and cognitive changes. The original role of emotions was to motivate adaptive behaviors that in the past would have contributed to the passing on of genes through survival, reproduction, and kin selection. In some theories, cognition is an important aspect of emotion. Those acting primarily on the emotions they are feeling may seem as if they are not thinking, but mental processes are still essential, particularly in the interpretation of events. For example, the realization of our believing that we are in a dangerous situation and the subsequent arousal of our body's nervous system (rapid heartbeat and breathing, sweating, muscle tension) is integral to the experience of our feeling afraid. Other theories, however, claim that emotion is separate from and can precede cognition. Consciously experiencing an emotion is exhibiting a mental representation of that emotion from a past or hypothetical experience, which is linked back to a content state of pleasure or displeasure. The content states are established by verbal explanations of experiences, describing an internal state. The word "emotion" dates back to 1579, when it was adapted from the French word émouvoir, which means "to stir up". The term emotion was introduced into academic discussion as a catch-all term to passions, sentiments and affections. The word emotion was coined in the early 1800s by Thomas Brown and it is around the 1830s that the modern concept of emotion first emerged for English Language. "No one felt emotions before about 1830. Instead they felt other things - "passions", "accidents of the soul", "moral sentiments" - and explained them very differently from how we understand emotions today." Some cross cultural studies indicate that the categorization of "emotion" and classification of basic emotions such as "anger" and "sadness" are not universal and that the boundaries and domains of these concepts are categorized differently by all cultures. However, others argue that there are some basic universal but spurious bases of emotions in some cultures. In anthropology, an inability to express or perceive emotion is sometimes referred to as alexithymia. The Oxford Dictionary definition of emotion is "A strong feeling deriving from one's circumstances, mood, or relationships with others." 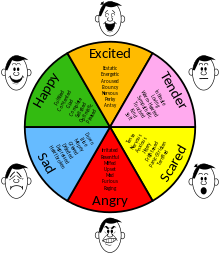 Emotions are responses to significant internal and external events. Emotions can be occurrences (e.g., panic) or dispositions (e.g., hostility), and short-lived (e.g., anger) or long-lived (e.g., grief). Psychotherapist Michael C. Graham describes all emotions as existing on a continuum of intensity. Thus fear might range from mild concern to terror or shame might range from simple embarrassment to toxic shame. Emotions have been described as consisting of a coordinated set of responses, which may include verbal, physiological, behavioral, and neural mechanisms. Emotions have been categorized, with some relationships existing between emotions and some direct opposites existing. Graham differentiates emotions as functional or dysfunctional and argues all functional emotions have benefits. In some uses of the word, emotions are intense feelings that are directed at someone or something. On the other hand, emotion can be used to refer to states that are mild (as in annoyed or content) and to states that are not directed at anything (as in anxiety and depression). One line of research looks at the meaning of the word emotion in everyday language and finds that this usage is rather different from that in academic discourse. In practical terms, Joseph LeDoux has defined emotions as the result of a cognitive and conscious process which occurs in response to a body system response to a trigger. Lisa Feldman Barrett has defined emotions as "a combination of the physical properties of your body, a flexible brain that wires itself to whatever environment it develops in, and your culture and upbringing, which provide that environment." Feeling; not all feelings include emotion, such as the feeling of knowing. In the context of emotion, feelings are best understood as a subjective representation of emotions, private to the individual experiencing them. Moods are diffuse affective states that generally last for much longer durations than emotions, are also usually less intense than emotions and often appear to lack a contextual stimulus. Affect is used to describe the experience of feeling or emotion. One view is that emotions facilitate adaptive responses to environmental challenges. Emotions have been described as a result of evolution because they provided good solutions to ancient and recurring problems that faced our ancestors. However some emotions, such as some forms of anxiety, are sometimes regarded as part of a mental illness and thus possibly of negative value. The classification of emotions has mainly been researched from two fundamental viewpoints. The first viewpoint is that emotions are a set of discrete and fundamentally different constructs while the second viewpoint asserts that emotions can be described in terms of a few broad, continuous dimensions. However, more recently, it has been noted that treating these as opposing viewpoints fails to separate claims about the conceptualization of emotion (or the nature of the concepts that best describe emotion-related responses), the dimensionality of emotion (or the number of varieties of emotion-related response), and the structure of emotion (the extent to which different varieties of emotion are discrete or can be blended together). Alan S. Cowen and Dacher Keltner (2017) identify 27 categories of emotion. Psychologists have used methods such as factor analysis to attempt to map emotion-related responses onto a more limited number of dimensions. Such methods attempt to boil emotions down to underlying dimensions that capture the similarities and differences between experiences. Often, the first two dimensions uncovered by factor analysis are valence (how negative or positive the experience feels) and arousal (how energized or enervated the experience feels). These two dimensions can be depicted on a 2D coordinate map. This two-dimensional map has been theorized to capture one important component of emotion called core affect. Core affect is not theorized to be the only component to emotion, but to give the emotion its hedonic and felt energy. In stoic theories it was seen as a hindrance to reason and therefore a hindrance to virtue. Aristotle believed that emotions were an essential component of virtue. In the Aristotelian view all emotions (called passions) corresponded to appetites or capacities. During the Middle Ages, the Aristotelian view was adopted and further developed by scholasticism and Thomas Aquinas in particular. In Chinese antiquity, excessive emotion was believed to cause damage to qi, which in turn, damages the vital organs. The four humours theory made popular by Hippocrates contributed to the study of emotion in the same way that it did for medicine. In the early 11th century, Avicenna theorized about the influence of emotions on health and behaviors, suggesting the need to manage emotions. Early modern views on emotion are developed in the works of philosophers such as René Descartes, Niccolò Machiavelli, Baruch Spinoza, Thomas Hobbes and David Hume. In the 19th century emotions were considered adaptive and were studied more frequently from an empiricist psychiatric perspective. Perspectives on emotions from evolutionary theory were initiated during the mid-late 19th century with Charles Darwin's 1872 book The Expression of the Emotions in Man and Animals. Surprisingly, Darwin argued that emotions served no evolved purpose for humans, neither in communication, nor in aiding survival. Darwin largely argued that emotions evolved via the inheritance of acquired characters. He pioneered various methods for studying non-verbal expressions, from which he concluded that some expressions had cross-cultural universality. 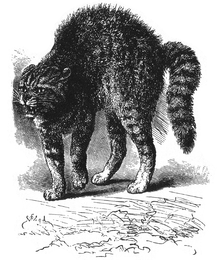 Darwin also detailed homologous expressions of emotions that occur in animals. This led the way for animal research on emotions and the eventual determination of the neural underpinnings of emotion. Cognitive appraisal – The individual assesses the event cognitively, which cues the emotion. Physiological changes – The cognitive reaction starts biological changes such as increased heart rate or pituitary adrenal response. Action – The individual feels the emotion and chooses how to react. Her brain activates the adrenal glands which pump adrenaline through her blood stream, resulting in increased heartbeat. There are some theories on emotions arguing that cognitive activity in the form of judgments, evaluations, or thoughts are necessary in order for an emotion to occur. A prominent philosophical exponent is Robert C. Solomon (for example, The Passions, Emotions and the Meaning of Life, 1993). Solomon claims that emotions are judgments. He has put forward a more nuanced view which responds to what he has called the ‘standard objection’ to cognitivism, the idea that a judgment that something is fearsome can occur with or without emotion, so judgment cannot be identified with emotion. The theory proposed by Nico Frijda where appraisal leads to action tendencies is another example. Affective events theory is a communication-based theory developed by Howard M. Weiss and Russell Cropanzano (1996), that looks at the causes, structures, and consequences of emotional experience (especially in work contexts). This theory suggests that emotions are influenced and caused by events which in turn influence attitudes and behaviors. This theoretical frame also emphasizes time in that human beings experience what they call emotion episodes –\ a "series of emotional states extended over time and organized around an underlying theme." This theory has been utilized by numerous researchers to better understand emotion from a communicative lens, and was reviewed further by Howard M. Weiss and Daniel J. Beal in their article, "Reflections on Affective Events Theory", published in Research on Emotion in Organizations in 2005. The motor centers of reptiles react to sensory cues of vision, sound, touch, chemical, gravity, and motion with pre-set body movements and programmed postures. With the arrival of night-active mammals, smell replaced vision as the dominant sense, and a different way of responding arose from the olfactory sense, which is proposed to have developed into mammalian emotion and emotional memory. The mammalian brain invested heavily in olfaction to succeed at night as reptiles slept – one explanation for why olfactory lobes in mammalian brains are proportionally larger than in the reptiles. These odor pathways gradually formed the neural blueprint for what was later to become our limbic brain. Joseph LeDoux differentiates between the human's defence system, which has evolved over time, and emotions such as fear and anxiety. He has said that the amygdala may release hormones due to a trigger (such as an innate reaction to seeing a snake), but "then we elaborate it through cognitive and conscious processes." Lisa Feldman Barrett highlights differences in emotions between different cultures, and says that emotions (such as anxiety) "are not triggered; you create them. They emerge as a combination of the physical properties of your body, a flexible brain that wires itself to whatever environment it develops in, and your culture and upbringing, which provide that environment." She has termed this approach the theory of constructed emotion. The history of emotions has become an increasingly popular topic recently, with some scholars[who?] arguing that it is an essential category of analysis, not unlike class, race, or gender. Historians, like other social scientists, assume that emotions, feelings and their expressions are regulated in different ways by both different cultures and different historical times, and the constructivist school of history claims even that some sentiments and meta-emotions, for example Schadenfreude, are learnt and not only regulated by culture. Historians of emotion trace and analyse the changing norms and rules of feeling, while examining emotional regimes, codes, and lexicons from social, cultural, or political history perspectives. Others focus on the history of medicine, science, or psychology. What somebody can and may feel (and show) in a given situation, towards certain people or things, depends on social norms and rules; thus historically variable and open to change. Several research centers have opened in the past few years in Germany, England, Spain, Sweden, and Australia. Attempts are frequently made to regulate emotion according to the conventions of the society and the situation based on many (sometimes conflicting) demands and expectations which originate from various entities. The expression of anger is in many cultures discouraged in girls and women to a greater extent than in boys and men (the notion being that an angry man has a valid complaint that needs to be rectified, while an angry women is hysterical or oversensitive, and her anger is somehow invalid), while the expression of sadness or fear is discouraged in boys and men relative to girls and women (attitudes implicit in phrases like "man up" or "don't be a sissy"). Expectations attached to social roles, such as "acting as man" and not as a woman, and the accompanying "feeling rules" contribute to the differences in expression of certain emotions. Some cultures encourage or discourage happiness, sadness, or jealousy, and the free expression of the emotion of disgust is considered socially unacceptable in most cultures. Some social institutions are seen as based on certain emotion, such as love in the case of contemporary institution of marriage. In advertising, such as health campaigns and political messages, emotional appeals are commonly found. Recent examples include no-smoking health campaigns and political campaigns emphasizing the fear of terrorism. Randall Collins – (born 1941) American sociologist from the University of Pennsylvania developed the interaction ritual theory which includes emotional entrainment model. George Mandler (born 1924) – American psychologist who wrote influential books on cognition and emotion. Konstantinos V. Petrides – Greek-British psychologist who specializes in emotion, personality, psychometrics, and philosophy of mind. Professor of Psychology and Psychometrics at University College London. Jonathan H. Turner (born 1942) – American sociologist from the University of California, Riverside who is a general sociological theorist with specialty areas including the sociology of emotions, ethnic relations, social institutions, social stratification, and bio-sociology. Dominique Moïsi (born 1946) – Authored a book titled The Geopolitics of Emotion focusing on emotions related to globalization. ^ Damasio AR (May 1998). "Emotion in the perspective of an integrated nervous system". Brain Research. Brain Research Reviews. 26 (2–3): 83–86. doi:10.1016/s0165-0173(97)00064-7. PMID 9651488. ^ Cabanac, Michel (2002). "What is emotion?" Behavioural Processes 60(2): 69-83. "[E]motion is any mental experience with high intensity and high hedonic content (pleasure/displeasure)." ^ a b Scirst=Daniel L. (2011). Psychology Second Edition. 41 Madison Avenue, New York, NY 10010: Worth Publishers. p. 310. ISBN 978-1-4292-3719-2. ^ "Theories of Emotion". Psychology.about.com. 13 September 2013. Retrieved 11 November 2013. ^ Cacioppo, J.T & Gardner, W.L (1999). Emotion. "Annual Review of Psychology", 191. ^ Schacter, D.L., Gilbert, D.T., Wegner, D.M., & Hood, B.M. (2011). Psychology (European ed.). Basingstoke: Palgrave Macmillan. ^ Wilson TD, Dunn EW (February 2004). "Self-knowledge: its limits, value, and potential for improvement". Annual Review of Psychology. 55 (1): 493–518. doi:10.1146/annurev.psych.55.090902.141954. PMID 14744224. ^ Barrett LF, Mesquita B, Ochsner KN, Gross JJ (January 2007). "The experience of emotion". Annual Review of Psychology. 58 (1): 373–403. doi:10.1146/annurev.psych.58.110405.085709. PMC 1934613. PMID 17002554. ^ a b c d Gaulin, Steven J.C. and Donald H. McBurney. Evolutionary Psychology. Prentice Hall. 2003. ISBN 978-0-13-111529-3, Chapter 6, p 121-142. ^ Barrett LF, Russell JA (2015). The psychological construction of emotion. Guilford Press. ISBN 978-1462516971. ^ a b Thoits PA (1989). "The sociology of emotions". Annual Review of Sociology. 15: 317–42. doi:10.1146/annurev.soc.15.1.317. ^ Dixon, Thomas. From passions to emotions: the creation of a secular psychological category. Cambridge University Press. 2003. ISBN 978-0521026697. link. ^ a b Smith TW (2015). The Book of Human Emotions. Little, Brown, and Company. pp. 4–7. ISBN 9780316265409. ^ Russell JA (November 1991). "Culture and the categorization of emotions". Psychological Bulletin. 110 (3): 426–50. doi:10.1037/0033-2909.110.3.426. PMID 1758918. ^ Wierzbicka, Anna. Emotions across languages and cultures: diversity and universals. Cambridge University Press. 1999. ^ Taylor, Graeme J. "Alexithymia: concept, measurement, and implications for treatment." The American Journal of Psychiatry (1984). ^ "Emotion | Definition of emotion in English by Oxford Dictionaries". ^ "Emotion". The Stanford Encyclopedia of Philosophy. Metaphysics Research Lab, Stanford University. 2018. ^ Graham MC (2014). Facts of Life: ten issues of contentment. Outskirts Press. p. 63. ISBN 978-1-4787-2259-5. ^ Graham MC (2014). Facts of Life: Ten Issues of Contentment. Outskirts Press. ISBN 978-1-4787-2259-5. ^ a b Fox 2008, pp. 16–17. ^ a b Hume, D. Emotions and Moods. Organizational Behavior, 258-297. ^ Fehr B, Russell JA (1984). "Concept of Emotion Viewed from a Prototype Perspective". Journal of Experimental Psychology: General. 113 (3): 464–86. doi:10.1037/0096-3445.113.3.464. ^ "On Fear, Emotions, and Memory: An Interview with Dr. Joseph LeDoux » Page 2 of 2 » Brain World". 6 June 2018. ^ Scherer KR (2005). "What are emotions? And how can they be measured?". Social Science Information. 44 (4): 693–727. doi:10.1177/0539018405058216. ^ a b c Givens DB. "Emotion". Center for Nonverbal Studies. Archived from the original on 23 May 2014. Retrieved 7 May 2014. ^ Ekman P (1992). "An argument for basic emotions" (PDF). Cognition & Emotion. 6 (3): 169–200. CiteSeerX 10.1.1.454.1984. doi:10.1080/02699939208411068. Archived from the original (PDF) on 15 October 2018. Retrieved 25 October 2017. ^ Some people regard mental illnesses as having evolutionary value, see e.g. Evolutionary approaches to depression. ^ Schwarz, N.H. (1990). Feelings as information: Informational and motivational functions of affective states. Handbook of motivation and cognition: Foundations of social behavior, 2, 527-561. ^ Alan S. Cowen and Dacher Keltner (1 April 2018). "Clarifying the Conceptualization, Dimensionality, and Structure of Emotion". Trends in Cognitive Sciences. 22 (4): 274–276. doi:10.1016/j.tics.2018.02.003. PMC 5866789. PMID 29477775. Retrieved 2 February 2019. ^ a b Handel S (24 May 2011). "Classification of Emotions". Retrieved 30 April 2012. ^ Ekman P, Cordaro DT (2011). "What is meant by calling emotions basic. Emotion review". 3 (4): 364–70. ^ Cordaro DT, Keltner D, Tshering S, Wangchuk D, Flynn LM (2016). "The voice conveys emotion in ten globalized cultures and one remote village in Bhutan". 16 (1): 117. ^ Cordaro DT, Sun R, Keltner D, Kamble S, Huddar N, McNeil G (2017). "Universals and cultural variations in 22 emotional expressions across five cultures". ^ Keltner; Oatley; Jenkins. "Understanding emotions. Blackwell publishing". ^ Plutchik R (2002). "Nature of emotions". American Scientist. 89 (4): 349. doi:10.1511/2001.28.739. ^ Alan S. Cowen and Dacher Keltner (5 September 2017). "Self-report captures 27 distinct categories of emotion bridged by continuous gradients". Proceedings of the National Academy of Sciences. 114 (38): E7900–E7909. doi:10.1073/pnas.1702247114. PMC 5617253. PMID 28874542. Retrieved 11 September 2017. ^ Alan S. Cowen; Hillary Anger Elfenbein; Petri Laukka; Dacher Keltner (2018). "Mapping 24 emotions conveyed by brief human vocalization". American Psychologist. doi:10.1037/amp0000399. PMID 30570267. Retrieved 2 February 2019. Alan S. Cowen and Dacher Keltner (5 September 2017). "Self-report captures 27 distinct categories of emotion bridged by continuous gradients". Proceedings of the National Academy of Sciences. 114 (38): E7900–E7909. doi:10.1073/pnas.1702247114. PMC 5617253. PMID 28874542. Retrieved 11 September 2017. ^ Osgood, Charles Egerton; Suci, George J.; Tannenbaum, Percy H. (1957). The Measurement of Meaning. Urbana, Illinois, USA: University of Illinois Press. ISBN 978-0-252-74539-3. ^ Schacter DL (2011). Psychology Ed. 2. 41 Madison Avenue New York, NY 10010: Worth Publishers. ISBN 978-1-4292-3719-2. ^ Russell JA, Barrett LF (May 1999). "Core affect, prototypical emotional episodes, and other things called emotion: dissecting the elephant". Journal of Personality and Social Psychology. 76 (5): 805–19. doi:10.1037/0022-3514.76.5.805. PMID 10353204. ^ Aristotle. Nicomachean Ethics. Book 2. Chapter 6. ^ Aquinas T. Summa Theologica. Q.59, Art.2. ^ Suchy Y (2011). Clinical neuropsychology of emotion. New York, NY: Guilford. ^ Haque A (2004). "Psychology from Islamic Perspective: Contributions of Early Muslim Scholars and Challenges to Contemporary Muslim Psychologists". Journal of Religion and Health. 43 (4): 357–77. doi:10.1007/s10943-004-4302-z. JSTOR 27512819. ^ See for instance Antonio Damasio (2005) Looking for Spinoza. ^ Wright, Robert. Moral animal. ^ Cacioppo JT (1998). "Somatic responses to psychological stress: The reactivity hypothesis". Advances in Psychological Science. 2: 87–114. ^ Aziz-Zadeh L, Damasio A (2008). "Embodied semantics for actions: findings from functional brain imaging". Journal of Physiology, Paris. 102 (1–3): 35–9. doi:10.1016/j.jphysparis.2008.03.012. PMID 18472250. ^ LeDoux J.E. (1996) The Emotional Brain. New York: Simon & Schuster. ^ McIntosh DN, Zajonc RB, Vig PB, Emerick SW (1997). "Facial movement, breathing, temperature, and affect: Implications of the vascular theory of emotional efference". Cognition & Emotion. 11 (2): 171–95. doi:10.1080/026999397379980. ^ a b c James W (1884). "What Is an Emotion?". Mind. 9 (34): 188–205. doi:10.1093/mind/os-ix.34.188. ^ Carlson N (22 January 2012). Physiology of Behavior. Emotion. 11th edition. Pearson. p. 388. ISBN 978-0205239399. ^ Reisenzein R (1995). "James and the physical basis of emotion: A comment on Ellsworth". Psychological Review. 102 (4): 757–61. doi:10.1037/0033-295X.102.4.757. ^ Dalgleish T (2004). "The emotional brain". Nature Reviews Neuroscience. 5 (7): 582–89. doi:10.1038/nrn1432. PMID 15208700. ^ Carlson N (22 January 2012). Physiology of Behavior. Emotion. 11th edition. Pearson. p. 389. ISBN 978-0205239399. ^ a b Cannon WB (1929). "Organization for Physiological Homeostasis". Physiological Reviews. 9 (3): 399–421. doi:10.1152/physrev.1929.9.3.399. ^ Cannon WB (1927). "The James-Lange theory of emotion: A critical examination and an alternative theory". The American Journal of Psychology. 39 (1/4): 106–24. doi:10.2307/1415404. JSTOR 1415404. ^ see the Heuristic–Systematic Model, or HSM, (Chaiken, Liberman, & Eagly, 1989) under attitude change. Also see the index entry for "Emotion" in "Beyond Rationality: The Search for Wisdom in a Troubled Time" by Kenneth R. Hammond and in "Fooled by Randomness: The Hidden Role of Chance in Life and in the Markets" by Nassim Nicholas Taleb. ^ Griffiths, Paul Edmund and Scarantino, Andrea (2005) Emotions in the wild: The situated perspective on emotion. ^ Lövheim H (February 2012). "A new three-dimensional model for emotions and monoamine neurotransmitters". Medical Hypotheses. 78 (2): 341–48. doi:10.1016/j.mehy.2011.11.016. PMID 22153577. ^ Kringelbach ML, O'Doherty J, Rolls ET, Andrews C (October 2003). "Activation of the human orbitofrontal cortex to a liquid food stimulus is correlated with its subjective pleasantness". Cerebral Cortex. 13 (10): 1064–71. CiteSeerX 10.1.1.67.541. doi:10.1093/cercor/13.10.1064. PMID 12967923. ^ Drake RA (1987). "Effects of gaze manipulation on aesthetic judgments: Hemisphere priming of affect". Acta Psychologica. 65 (2): 91–99. doi:10.1016/0001-6918(87)90020-5. ^ Merckelbach H, van Oppen P (March 1989). "Effects of gaze manipulation on subjective evaluation of neutral and phobia-relevant stimuli. A comment on Drake's (1987) 'Effects of Gaze Manipulation on Aesthetic Judgments: Hemisphere Priming of Affect'". Acta Psychologica. 70 (2): 147–51. doi:10.1016/0001-6918(89)90017-6. PMID 2741709. ^ Harmon-Jones E, Vaughn-Scott K, Mohr S, Sigelman J, Harmon-Jones C (March 2004). "The effect of manipulated sympathy and anger on left and right frontal cortical activity". Emotion. 4 (1): 95–101. doi:10.1037/1528-3542.4.1.95. PMID 15053729. ^ Schmidt LA (1999). "Frontal brain electrical activity in shyness and sociability". Psychological Science. 10 (4): 316–20. doi:10.1111/1467-9280.00161. ^ Táborský I, Dolník V (September 1977). "Physico-chemical properties of interferon produced by a mixed leukocyte suspension". Acta Virologica. 21 (5): 359–64. doi:10.1073/pnas.96.14.8301. PMC 22229. PMID 10393989. ^ Drake RA, Myers LR (2006). "Visual attention, emotion, and action tendency: Feeling active or passive". Cognition and Emotion. 20 (5): 608–22. doi:10.1080/02699930500368105. ^ Wacker J, Chavanon ML, Leue A, Stemmler G (April 2008). "Is running away right? The behavioral activation-behavioral inhibition model of anterior asymmetry". Emotion. 8 (2): 232–49. doi:10.1037/1528-3542.8.2.232. PMID 18410197. ^ Craig AD (August 2003). "Interoception: the sense of the physiological condition of the body" (PDF). Current Opinion in Neurobiology. 13 (4): 500–55. doi:10.1016/S0959-4388(03)00090-4. PMID 12965300. ^ Denton DA, McKinley MJ, Farrell M, Egan GF (June 2009). "The role of primordial emotions in the evolutionary origin of consciousness". Consciousness and Cognition. 18 (2): 500–14. doi:10.1016/j.concog.2008.06.009. PMID 18701321. ^ "EmoNet". Uq.edu.au. Archived from the original on 18 February 2013. Retrieved 11 November 2013. ^ "History of Emotions | Max Planck Institute for Human Development". Mpib-berlin.mpg.de. Retrieved 11 November 2013. ^ "Cultura Emocional E Identidad". unav.edu. Retrieved 11 November 2013. ^ Turner, J.H. (2007). Human emotions: A sociological theory. London: Routledge. ^ Turner JH (2009). "The sociology of emotion: Basic Theoretical arguments". Emotion Review. 1 (4): 340–54. doi:10.1177/1754073909338305. ^ Blair, Elaine (27 September 2018). "The Power of Enraged Women". The New York Times. ISSN 0362-4331. Retrieved 9 December 2018. ^ Jamison, Leslie (17 January 2018). "I Used to Insist I Didn't Get Angry. Not Anymore". The New York Times. ISSN 0362-4331. Retrieved 9 December 2018. ^ Durkheim, E. (1915/1912). The elementary forms of the religious life, trans. J.W. Swain. New York: Free Press. ^ Cooley, C.H. (1992). Human nature and the social order. New Brunswick: Transaction Publishers. ^ Retzinger, S.M. (1991). Violent emotions: Shame and rage in marital quarrels. London: SAGE. ^ Scheff, J. (1990). Microsociology: discourse, emotion and social structure. Chicago: University of Chicago Press. ^ Collins, R. (2004). Interaction ritual chains. Princeton, NJ: Princeton University Press. ^ Goffman, E. (1967). Interaction ritual. New York: Anchor Books. ^ Goffman, E. (1964/2013). Encounters: Two studies in the sociology of interactions. Mansfiled Centre, CT: Martino Publishing. ^ Milne C, Otieno T (2007). "Understanding engagement: Science demonstrations and emotional energy". Science Education. 91: 532–53. doi:10.1002/sce (inactive 15 March 2019). ^ Olitsky, S. (2007). Science learning, status and identity formation in an urban middle school. In W.-M. Roth & K.G. Tobin (Eds. ), Science, learning, identity: Sociocultural and cultural-historical perspectives. (pp. 41-62). Rotterdam, The Netherlands: Sense. ^ Tobin K, Ritchie SM, Oakley J, Mergard V, Hudson P (2013). "Relationships between emotional climate and the fluency of classroom interactions". Learning Environments Research. 16: 71–89. doi:10.1007/s10984-013-9125-y. ^ Zembylas M (2002). "Constructing genealogies of teachers' emotions in science teaching". Journal of Research in Science Teaching. 39: 79–103. doi:10.1002/tea.10010. ^ Vargha-Khadem F, Gadian DG, Copp A, Mishkin M (February 2005). "FOXP2 and the neuroanatomy of speech and language". Nature Reviews. Neuroscience. 6 (2): 131–38. doi:10.1038/nrn1605. PMID 15685218. ^ Enard W, Khaitovich P, Klose J, Zöllner S, Heissig F, Giavalisco P, Nieselt-Struwe K, Muchmore E, Varki A, Ravid R, Doxiadis GM, Bontrop RE, Pääbo S (April 2002). "Intra- and interspecific variation in primate gene expression patterns". Science. 296 (5566): 340–43. doi:10.1126/science.1068996. PMID 11951044. ^ Hammock EA, Young LJ (June 2005). "Microsatellite instability generates diversity in brain and sociobehavioral traits". Science. 308 (5728): 1630–34. doi:10.1126/science.1111427. PMID 15947188. ^ "On Emotion – an article from Manchester Gestalt Centre website". 123webpages.co.uk. Archived from the original on 12 May 2012. Retrieved 11 November 2013. ^ North Atlantic Treaty Organization, Nato Standardization Agency AAP-6 - Glossary of terms and definitions, p 188. ^ Tao J, Tan T (2005). "Affective Computing: A Review". Affective Computing and Intelligent Interaction; LNCS. 3784. Springer. pp. 981–95. doi:10.1007/11573548. ^ Kleine-Cosack C (October 2006). "Recognition and Simulation of Emotions" (PDF). Archived from the original (PDF) on 28 May 2008. Retrieved 13 May 2008. The introduction of emotion to computer science was done by Pickard (sic) who created the field of affective computing. ^ Diamond D (December 2003). "The Love Machine; Building computers that care". Wired. Retrieved 13 May 2008. Rosalind Picard, a genial MIT professor, is the field's godmother; her 1997 book, Affective Computing, triggered an explosion of interest in the emotional side of computers and their users. ^ Freitas-Magalhães, A. (2017). 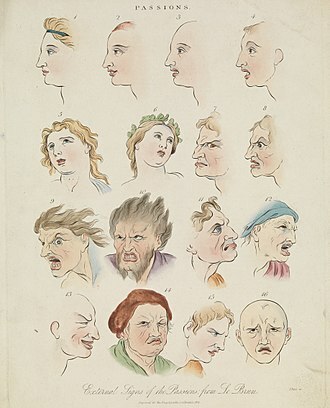 Facial Action Coding System 2.0: Manual of Scientific Codification of the Human Face. Porto: FEELab Science Books. ISBN 978-989-8766-86-1. ^ Cherry K. "What Is the James-Lange Theory of Emotion?". Retrieved 30 April 2012. ^ The Tomkins Institute. "Applied Studies in Motivation, Emotion, and Cognition". Archived from the original on 19 March 2012. Retrieved 30 April 2012. ^ Reisenzein, R (2006). "Arnolds theory of emotion in historical perspective". Cognition & Emotion. 20 (7): 920–51. doi:10.1080/02699930600616445. hdl:20.500.11780/598. ^ Plutchik, R (1982). "A psychoevolutionary theory of emotions". Social Science Information. 21 (4–5): 529–53. doi:10.1177/053901882021004003. Robinson DL (2008). "Brain function, emotional experience and personality" (PDF). Netherlands Journal of Psychology: 152–67. Zalta, Edward N. (ed.). "Emotion". Stanford Encyclopedia of Philosophy. "Theories of Emotion". Internet Encyclopedia of Philosophy.